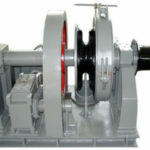 An anchor capstan is a machine that can be deck-mounted or thru-deck-mounted and used for anchoring operations. 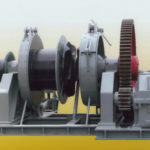 It has the same functions as anchor winch but they differ in appearance. 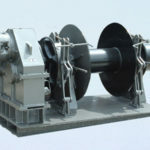 Generally anchor capstan can be used both for anchoring and mooring operations. The capstan only has one drum to rotate during operations to wind the anchor line but not hold and store the line on the drum. By rotating, the capstan drum controls the releasing and paying out of the line attached to the anchor to realize the operations. One advantage of using anchor capstan on a ship is that the line hauling can come from any direction, but the anchor line should approach the chain gypsy at an angle, which should not be more than 5 degrees above or 5 degrees below the center line of the gypsy. 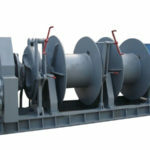 If there is no large space on a ship, a capstan can be chosen for the ship for its anchoring operations, which can be installed with part of it below the deck and such installation way can save some space on the deck. If you need an anchor capstan, please contact us. We supply a wide range of anchor capstans which can be driven by electric motor, hydraulic pump, or diesel engine. 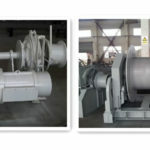 Vertical or horizontal type can be designed complying with your needs. The pulling force of the capstan depends on the diameter of the anchor chain, and the diameter of the chain wheel should match that of the chain to make sure the efficient work without chain jumping off the wheel during the anchoring operations. 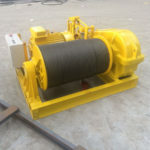 Ellsen is a professional manufacturer with much experience in producing marine winches and capstans, except for anchor capstans, we also produce mooring capstan, warping capstan, towing capstan and so on. Tell us your needs and requirements, we will provide the perfect product for you. 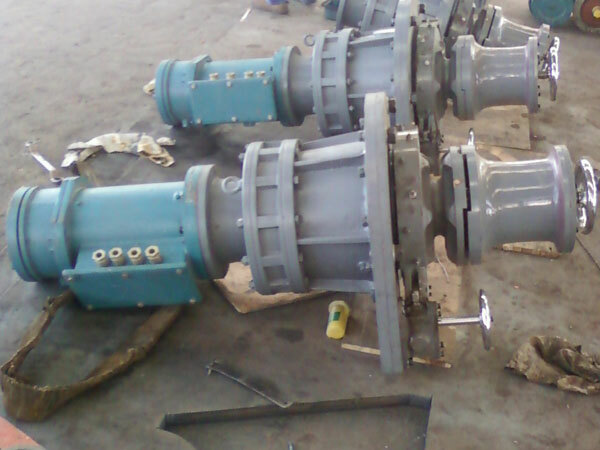 We customize anchor capstans for clients according to the demands, and feel free to contact us for more details about anchor capstan for sale.